Leonardo da Vinci is considered to be one of the most famous artists of all times. By being one of the creators of High Renaissance art in Italy, he is renowned as a master of oil painting, including the painterly techniques of chiaroscuro and sfumato, which the talented painter used while working on his masterpiece, Mona Lisa. He was good in artwork, sculpting, constructing, building design, science and definitely deserves his name to be remembered along with other genius people of the Renaissance era. 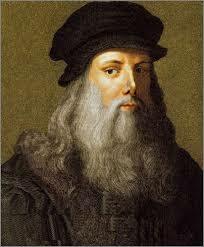 Leonardo da Vinci was born in a family of a well-known Italian attorney, Ser Piero on April 15, 1452, in Anchiano. His house was nestled near the town of Vinci that provided the last name we associate with the legendary artist today. Leonardo’s mother, Caterina, married another man and a little boy started to live with the family of his father. Leonardo didn’t go to formal school and got an informal education in math, geometry, and Latin. A child was incredibly gifted, and his talents in drawing and painting were noticed by everyone who had an opportunity to work with him. A wide number of special skills da Vinci picked up from a well-known artist Verrocchio. By being an apprentice, Leonardo learned metallurgy and leather arts as well as polished the skills he acquired earlier. When he was 20, he became one of the members of the painters’ guild of Florence. Leonardo also cooperated with Verrocchio on his painting “Baptism of Christ” at the same time. There are other works of his dating that time. The first one is Ginevra de’ Benci, depicted in 1474. It is the female portrait of the seventeen years old Ginevra de’ Benci with the blurred sky, trees, and mountains on the background. As reported by historians da Vinci’s favorite subject to paint was Madonna and Child. He depicted several paintings on this theme along with a number of sketches and drawings. Painted on 1478, Benois Madonna is a gaudy portrait of Madonna and a Child showing love and tenderness to each other. One of the other works created during this period was a Saint Jerome (1480). Leonardo painted Saint Jerome kneeling in a humble posture near the cross of Christ in the desert. This work illustrates the difficult period in the life of the artist, which can be compared to a desert and drought without water and rain. In 1478, Leonardo began to work independently and received his first task for an altarpiece in a chapel inside Florence’s Palazzo Vecchio, which was never completed. In 1482, Florentine ruler Lorenzo de’ Medici asked da Vinci to design a silver lyre for Ludovico Sforza. During that time Leonardo demonstrated his engineering knowledge by sketching different war machines to be built. A young talent also created a lofty equestrian statue, in bronze, to honor dynasty founder Francesco Sforza that took 12 years to execute. Da Vinci was incredibly gifted in science and art. Moreover, he did not see a division between them. He said that the combination of both helped him to become a better artist. While living in Milan, Leonardo started to paint “The Last Supper” mural composition. This work was a renovation to the church delegated by Ludovico Sforza. Da Vinci represented the scene of The Last Supper of Jesus with his twelve disciples, as it is described in the Gospel of John, 13:21. 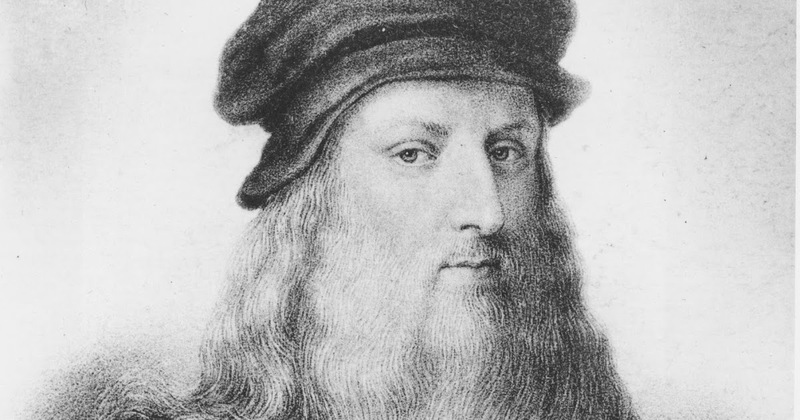 After the downfall of his patron Ludovico Sforza in 1499, Leonardo Da Vinci escaped to Venice and then to Florence. There he gave birth to one more series of portraits included “La Gioconda” or “Mona Lisa.” This exquisite work of High Renaissance portrait art is named after its subject, Lisa del Giocondo, born Lisa Gherardini, the wife of a Florentine merchant. Painted between approximately 1503 and 1506, “Mona Lisa” is an instant of total illumination, carried with equal intensity through to the rocks and sky in the background. The artist draws the mysterious smile of Mona Lisa to shed some of light on the portrait. Those who appreciate the power of art also noted the enigmatic quality of the woman depicted in her eyes and corners of the mouth. The detail of the face shows the effect of sfumato technique used by da Vinci as his signature. “Mona Lisa” is the only Leonardo da Vinci’s portrait from that period of his life that survived. It is housed at the Louvre Museum in Paris, France, where it attracts millions of visitors. Leonardo wanted to reproduce gestures and movements more accurately, and thus, he started studying the anatomy of human and animal bodies. Besides, he devoted his time to study botany, geology, zoology, hydraulics, aeronautics, and physics. Da Vinci conducted scientific observations and had a few papers and notebooks where he noted all his theoretical comments. This painting expresses the extreme consequences of Leonardo’s treatment of light; the light is continuously filtered from the dark background to the more prominent planes in the foreground, and itself becomes an expression of space and physiognomy, merging with the figure and the face, as it leans forward and smiles enigmatically, and with the symbolic raising of the finger; this is no longer ‘a voice crying in the wilderness’ but the guardian and witness of an initiatory secret, a means to the comprehension of the essence of humanity and hence the cosmic essence. In 1515 the new French monarch offered da Vinci the title “Premier Painter and Engineer and Architect to the King.” Leonardo da Vinci died on May 2, 1519, at the age of 67. His impact on art is tremendous. He is known as an artist who permanently enriched western culture.